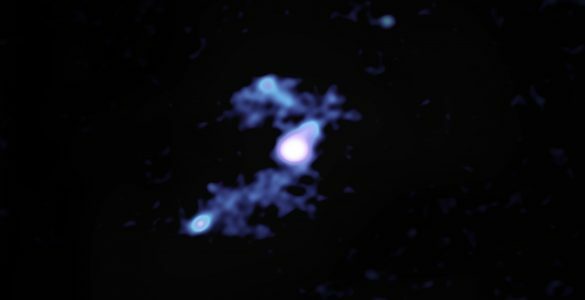 Pointing the National Science Foundation’s Very Large Array (VLA) at a famous galaxy for the first time in two decades, a team of astronomers got a big surprise, finding that a bright new object had appeared near the galaxy’s core. 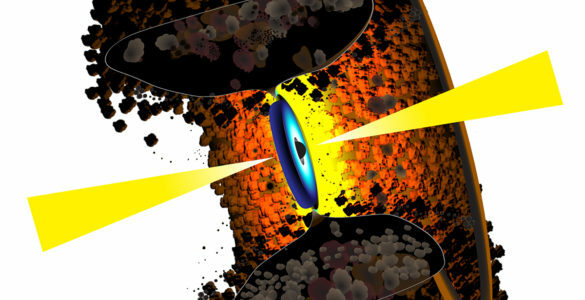 The object, the scientists concluded, is either a very rare type of supernova explosion or, more likely, an outburst from a second supermassive black hole closely orbiting the galaxy’s primary, central supermassive black hole. The astronomers observed Cygnus A, a well-known and often-studied galaxy discovered by radio-astronomy pioneer Grote Reber in 1939. The radio discovery was matched to a visible-light image in 1951, and the galaxy, some 800 million light-years from Earth, was an early target of the VLA after its completion in the early 1980s. Detailed images from the VLA published in 1984 produced major advances in scientists’ understanding of the superfast “jets” of subatomic particles propelled into intergalactic space by the gravitational energy of supermassive black holes at the cores of galaxies. “This new object may have much to tell us about the history of this galaxy,” said Daniel Perley, of the Astrophysics Research Institute of Liverpool John Moores University in the U.K., lead author of a paper in the Astrophysical Journal announcing the discovery. 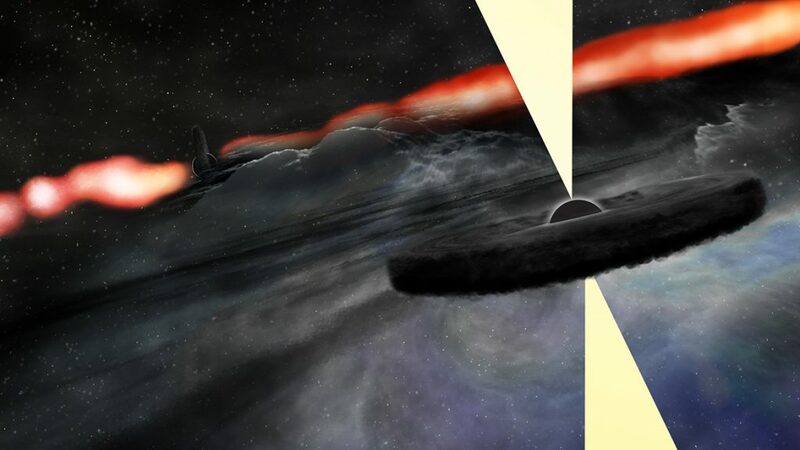 “The VLA images of Cygnus A from the 1980s marked the state of the observational capability at that time,” said Rick Perley, of the National Radio Astronomy Observatory (NRAO). 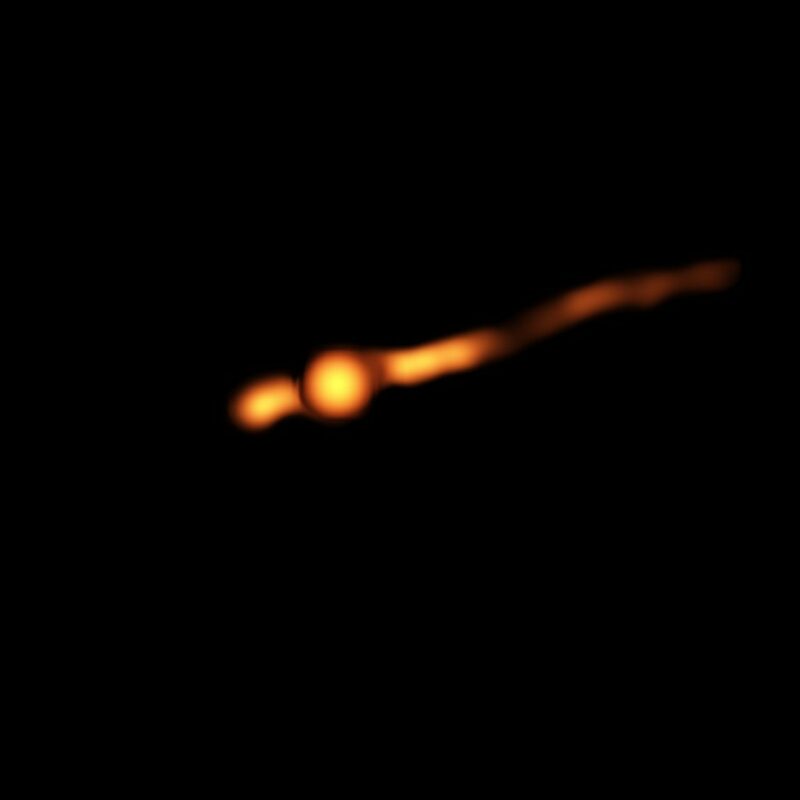 “Because of that, we didn’t look at Cygnus A again until 1996, when new VLA electronics had provided a new range of radio frequencies for our observations.” The new object does not appear in the images made then. “However, the VLA’s upgrade that was completed in 2012 made it a much more powerful telescope, so we wanted to have a look at Cygnus A using the VLA’s new capabilities,” Perley said. “To our surprise, we found a prominent new feature near the galaxy’s nucleus that did not appear in any previous published images. This new feature is bright enough that we definitely would have seen it in the earlier images if nothing had changed,” said Rick Perley. “That means it must have turned on sometime between 1996 and now,” he added. What is the new object? 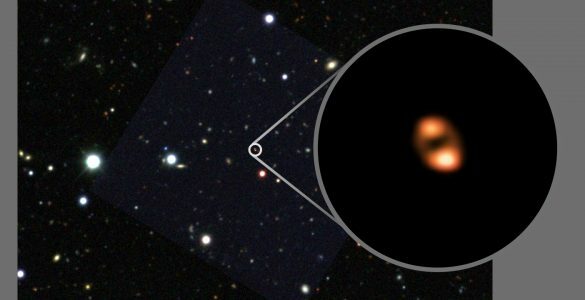 Based on its characteristics, the astronomers concluded it must be either a supernova explosion or an outburst from a second supermassive black hole near the galaxy’s center. While they want to watch the object’s future behavior to make sure, they pointed out that the object has remained too bright for too long to be consistent with any known type of supernova. 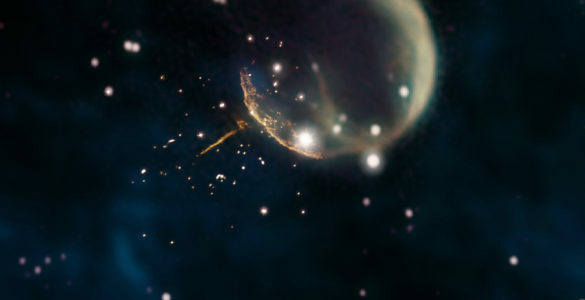 “Because of this extraordinary brightness, we consider the supernova explanation unlikely,” Dhawan said. 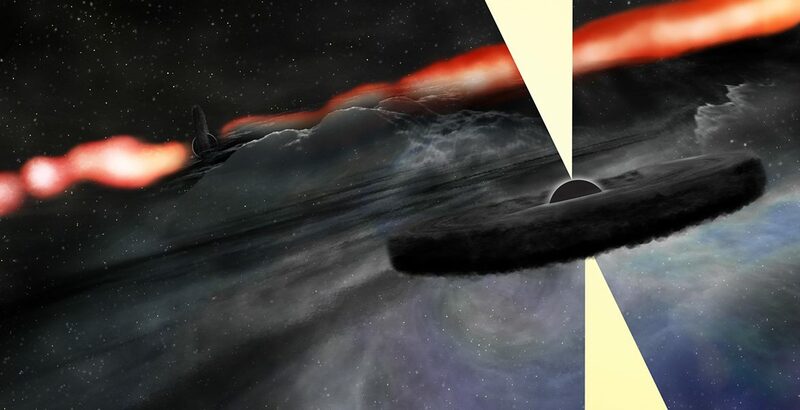 While the new object definitely is separate from Cygnus A’s central supermassive black hole, by about 1500 light-years, it has many of the characteristics of a supermassive black hole that is rapidly feeding on surrounding material. 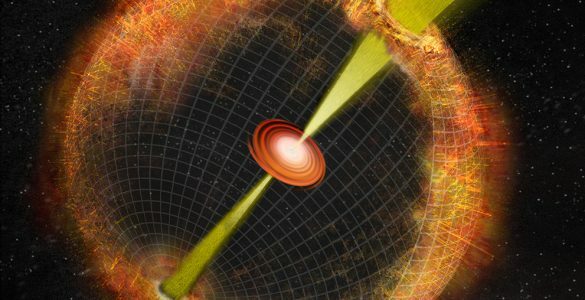 The astronomers suggested that the second black hole has become visible to the VLA in recent years because it has encountered a new source of material to devour. 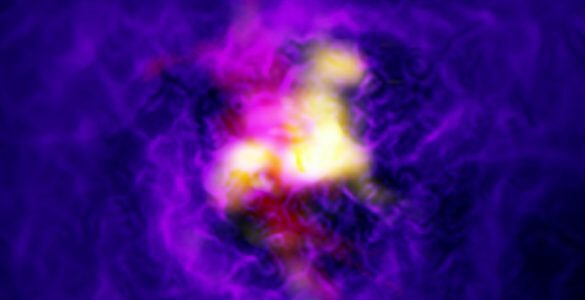 That material, they said, could either be gas disrupted by the galaxies’ merger or a star that passed close enough to the secondary black hole to be shredded by its powerful gravity. “Further observations will help us resolve some of these questions. 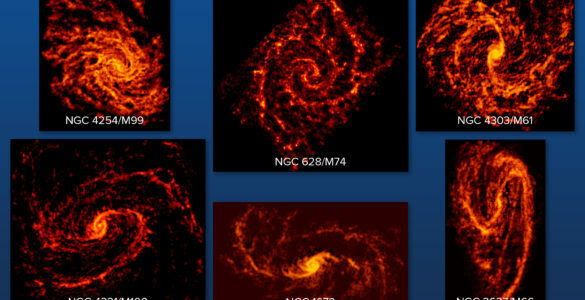 In addition, if this is a secondary black hole, we may be able to find others in similar galaxies,” Daniel Perley said. “Daniel was only two years old when I first observed Cygnus A with the VLA,” Rick said. As a high school student in Socorro, New Mexico, Daniel used VLA data for an award-winning science fair project that took him to the international level of competition, then went on to earn a doctoral degree in astronomy. Carilli, now NRAO’s Chief Scientist, was Rick’s graduate student while working as a predoctoral fellow at NRAO. His doctoral dissertation was on detailed analysis of 1980s VLA images of Cygnus A. Artist's conception of newly-discovered secondary supermassive black hole orbiting the main, central supermassive black hole of galaxy Cygnus A.
VLA radio images (orange) of central region of Cygnus A, overlaid on Hubble Space Telescope image, from 1989 and 2015. Animated GIF. VLA radio image (orange) of central region of Cygnus A, overlaid on Hubble Space Telescope image, from 1989. 2015 VLA radio image (orange) of Cygnus A, overlaid on Hubble Space Telescope image. 1989 VLA radio image of the central region of Cygnus A. 2015 VLA radio image of the central region of Cygnus A.